The Apple iPad, that is all we have been hearing about for the last couple of months, but does it live up to all the hype? 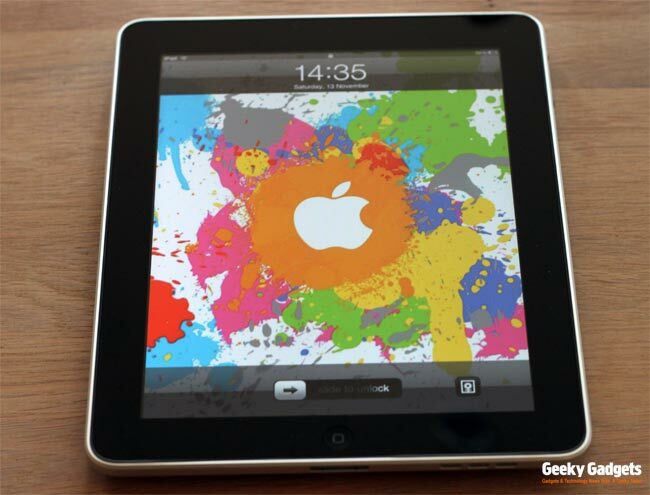 The Geeky Gadgets team have been testing out the iPad since we got our hands on a couple when they went on sale in the UK on the 28th of May. We have put the iPad through its paces, to give you guys a good idea of what it can and cant do, and whether it is the ‘magical’ gadget that Apple says it is, in this review we will look at everything the iPad has to offer. 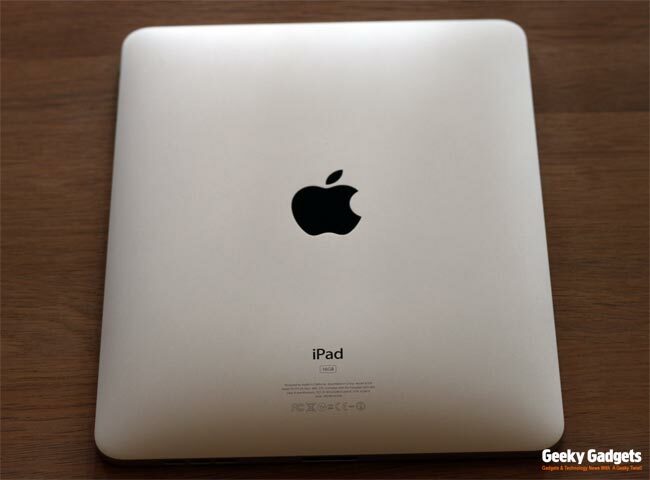 The Apple ipad features a 9.7 inch diagonal LED backlit glossy widescreen multi-touch display, with IPS technology and a 1024 x 768 resolution and the screen is designed to be fingerprint resistant. Processing is provided by a 1GHz Apple A4 custom designed high performance, low power processor on a chip, there is also a built in accelerometer and an ambient light sensor. The battery is a built in 25Whr rechargeable Lithium-polymer battery that will give you up to ten hours of usage, whilst browsing the web, watching a video or listening to music over WiFi. It features an Apple dock connector so you can hook it up to your PC or Mac, built in speakers, a microphone, a 3.5mm audio jack, and a SIM card tray on the WiFi + 3G model. 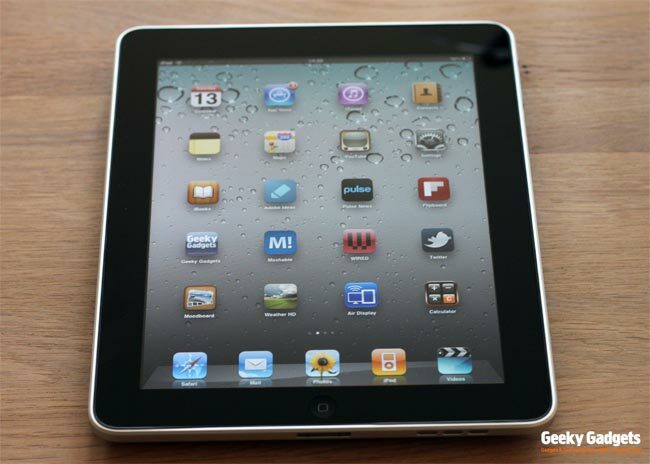 The iPad measures 9.56 inches tall by 7.47 inches wide by 0.5 inches deep and weighs in at just 1.5 pounds for the WiFi model, and 1.6 pounds for the WiFi and 3G Model. The design of the iPad is exactly what you would expect from Apple, it is very slim measuring just 0.5 inches thick, although when I first picked the iPad up my first impressions was that it was quite heavy, but this is something you get used to, it isn’t actually that heavy weighing in at 1.5 pounds. The screen on the iPad is sharp and it features a very similar design to that of the iPhone, the back of the iPad is encased in curved aluminum, and it looks great. On the front of the iPad there is a home button, which works exactly the same way as the iPhone, at the top you get a 3.5mm audio jack and an on off button, on the bottom there is the standard Apple dock connector, and you get an up and down volume button on the side as well as a home screen lock button that stops the iPad switching from portrait to landscape mode when you move it around. Overall the design on the iPad is very slick, and it definitely feels like a well built product, I love the aluminum on the back, it looks much more stylish than the back of the iPhone. The Apple iPad shares the same user interface and operating system as the iPhone, if you already own an iPhone or have used one in the past picking up the iPad will feel very familiar. The iPad features a virtual keyboard which can be used with the majority of applications on the iPad, having a larger screen than that of the iPhone makes everything so much easier, especially with tasks like email and surfing the web. The virtual keyboard is very good, it is a lot easier to use than the one on the iPhone, that is obviously down to having a larger screen and a larger keyboard, navigation on the iPad is simple, you just swipe through the various home screens with your applications on them. 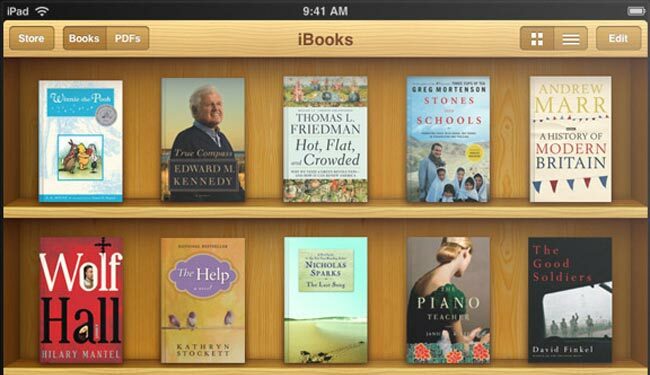 One of the most touted feature by Apple since they announced the iPad is their new iBooks platform. iBooks lets you read electronic books on the iPad, and it seems to work pretty well. If you are a book lover who uses a Kindle or another electronic book reader, then you will like the iPad, and Apple are expanding their library of books, although there are around 60,000 books at the moment, this compares to around 450,000 books on the Kindle platform. There are a couple of options for watching videos on the iPad, it comes with a built in YouTube application that lets you watch basically anything from you tube. The quality is great over WiFi, over 3G it isn’t as good and the difference is noticeable. 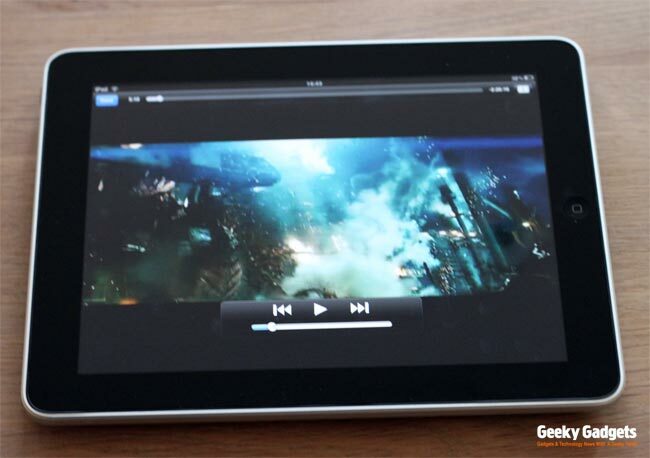 There are also a number of video streaming applications available for the iPad from the App store, and of course it comes with a built in video application the same as the iPhone that will let you sync your videos from iTunes. The iPad is good for videos, not great, the 1024 x 768 resolution screen means you cant watch full HD videos on, the highest resolution video we managed to get running on it was 1280 x 720, obviously there is some downscaling on this. It is very similar to watching videos on the iPhone, although you have a much larger screen, so it is ideal for travelling or for when you are away from home and want to watch a movie. This is where the iPad really shines, it is great for browsing the web and for email, it makes everything do simple, no longer to you have to wait for your Mac or PC to boot up so you can browse the web, just press a button, hit the Safari icon and you are automatically connected to the Internet. One thing that the iPad doesn’t support (and everyone knows) is Adobe Flash, personally I haven’t found this to be a major problem, I have only had a problem with maybe two or three websites in total out of a few hundred since I got the iPad, but then I am used to this on the iPhone. Email from the iPad is very good as well, having used the iPhone for the past couple of years for email when I am away from home, the iPad makes a big difference, having the larger screen makes everything so much easier, and the ability to be able to check your email on a large screen without having to boot up your Mac or PC is great. Normally both my PC and Mac stay on pretty much all the time, since I have had the iPad I have found myself switching them off more and more, and using the iPad. Apple says the battery on the iPad will give you up to 10 hours of usage, this is an impressive claim, and something that I was quite skeptical of considering how often I have to charge my iPhone. To say the battery life on the iPad is impressive is an understatement, we tried the iPad out doing routine tasks like browsing the web, email, watching the occasional video, playing with a few applications, everything you would normally do on the iPad, we had it set on 50 percent brightness. I was amazed buy the results as our iPad lasted for 10 hours and 37 minutes, before it turned itself off. Over the last week with around two to three hours of usage of the iPad a day I have only had to charge the iPad twice, this makes a refreshing change from my iPhone which needs charged every day. 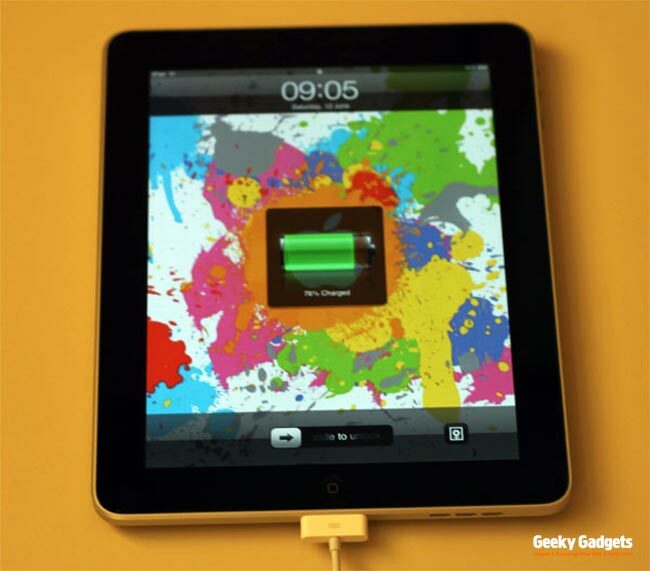 The battery life is excellent, this is one of the definite plus points of the iPad, as it means you can use it when you are travelling or out and about without having to worry about charging it. 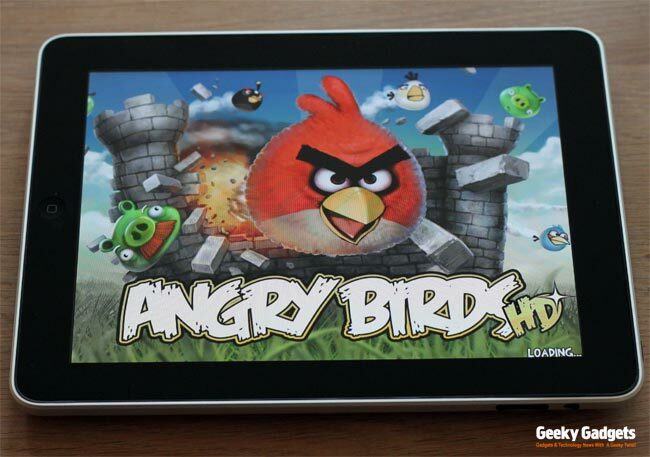 Already there are some great applications for the iPad as well as games, although we haven’t spent that much time on games, we have tested out quite a few of the applications. One feature that isn’t in the iPad at the moment, but is coming later in the year is multitasking, this will be a welcome addition to the iPad, as there have been a couple of instances already where I could have used this feature. Without the multitasking on the iPad, it is more suited to an entertainment device at the moment, rather than a work tool, there are quite a few of my daily tasks that I couldn’t perform on the iPad and I have had to use either my PC or Mac instead, hopefully this is something that will be improved when Apple releases iOS4 for the iPad. The iPad is a great device, it does exactly what it says on the tin, it isn’t designed to replace your computer, instead it is designed to make certain tasks very easy. Personally I found the iPad great for surfing the web and email, these are daily tasks which I have to complete quite regularly, and being able to just pick up the iPad and get on with things is great. If you are the sort of person who uses a computer for browsing the web and email, then you will like the iPad, if you want to use it for more complicated tasks, at the moment, until we see what multitasking is like you may be better off using a laptop. 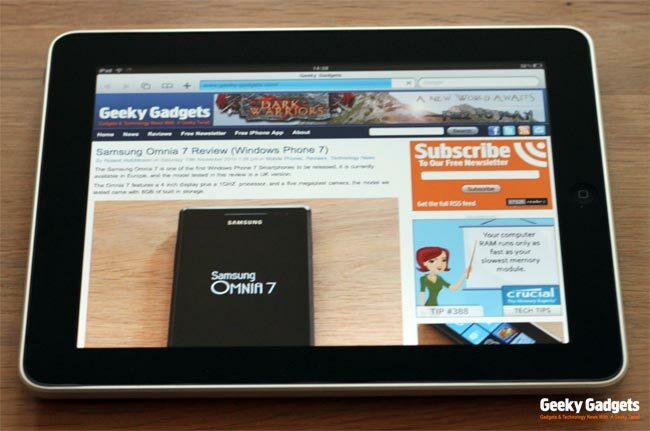 The iPad is a great entertainment device, good for watching videos, looking at photos , playing games, catching up with your friends on Facebook and Twitter, surfing the web and email. When Apple launched the 1st iPhone, it hardly had any of the features it does now, if Apple can manage to keep moving the iPad forward the way the did with the iPhone with regular software updates and new features it could end up being one of their most popular gadgets to date. If you mainly use your computer for entertainment, rather than work, we would definitely recommend checking out the Apple iPad, it is a really fun device to use, it won’t replace your notebook or computer just yet. We have tested out both the WiFi and 3G models, the WiFi model was a 16GB version, whilst the WiFi and 3G model was a 32GB version. I would recommend that you check out both models, if you do a lot of travelling then the 3G version is the one to get.